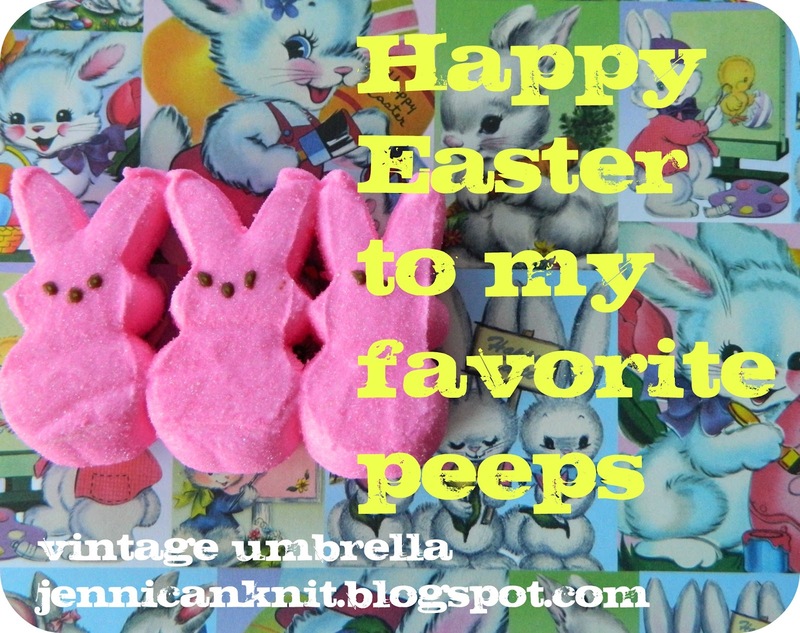 I'm back for day 2 of Peeps week. Today I'm making a wreath, but a different take than what I've seen floating around blogland. I started with an Easter wreath that I got 90% off at Pier One last spring. Guess what? The peeps go through the little wire stems perfectly! I added a little hot glue here and there so they wouldn't fall off. I propped it up on my front hall table... it wouldn't last too long if I put it outside! This is so my decoration: eat one, put one on the wreath, eat 2, put one on the wreath, eat 3, put one on the wreath. But really, I just told my husband we need an easter wreath on the door and I might make it. Have to get on it now. Love your ideas, as always! I have a (shut your eyes!!!) bought wreath on my door, but I LOVE this one sooooo much!! !